I'm back finally. This isn't my best car. Boring scheme but I think it gets across. Credits go to yahoo, mrd, mas, simodified, render by me. COMMENTS PLZ? I think there's more chance of it being the #25, I can't see hendrick axing Kyle LOL. I like that... sometimes simple is the trick. I suspect it will be #5, but that's still a great looking car, dude. Welcome back! And you know Hendrick will try his best to keep all of this hidden until Feb.
well i did it to match jimmie johnsons and all them. My bets are the 8 wouldn't look like that. 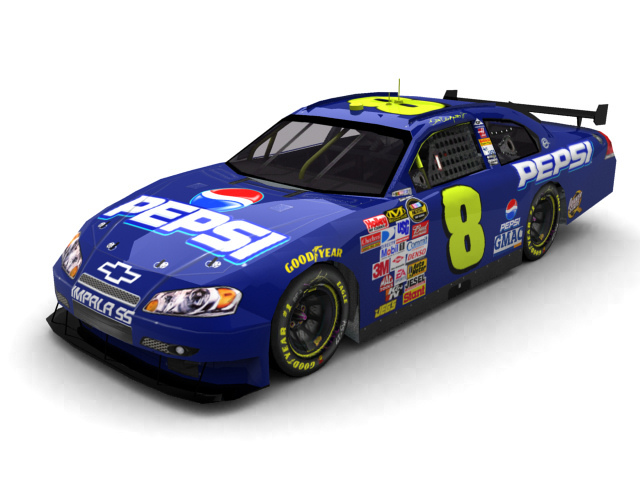 well on a radio station i was listening to I heard that hendrick is going to try and buy the #8 from DEI. and to add to the # situation. its going to be 5 i believe, casey is making a name for himself in the 25. look @ the past 4 races. i think the 25 curse is gone. It wont be the 8. It WILL be the 25 (most likely) or the 5 and what does DW know? Budweiser has history with Hendrick and they would be stupid to let this msrketing goldmine AND their golden boy go. Mark my words... It will be the #25 Budweiser.